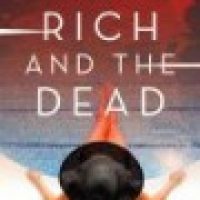 We’re giving away a copy of The Rich and the Dead, click through to enter our giveaway! I can’t tell you how much fun I had reading this book, it was pure indulgence. Interesting characters, fun dialogue and a mass murder mystery to solve made this one impossible to put down. 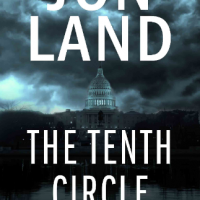 I’m pleased today to participate in the Partners in Crime book tour for Jon Land’s THE TENTH CIRCLE. Keep reading for an excerpt from THE TENTH CIRCLE as well as instructions to enter to win a SIGNED hardcover edition of the book! 1590: An entire colony of British settlers vanishes from their settlement on Roanoke Island, seemingly into thin air. 1872: The freighter Marie Celeste is found drifting at sea off Gibraltar, its entire crew and passengers gone missing without a trace. $5 Friday: What are you reading this week? 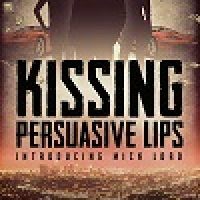 Want a chance to win a $5 gift card to Barnes & Noble? It’s easy! 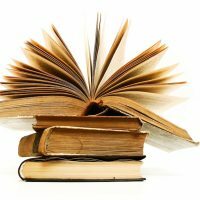 Just click the link and tell us what you’re reading this week! Last week was our inaugural edition of $5 Friday and our two winners are Ryan and Janet, who both correctly answered Cujo by Stephen King. This week we have a thought-provoking quote (originally by John Ciardi) which made an appearance in one of Brad Thor’s thrillers. You must correctly name the Brad Thor novel to be eligible to win.